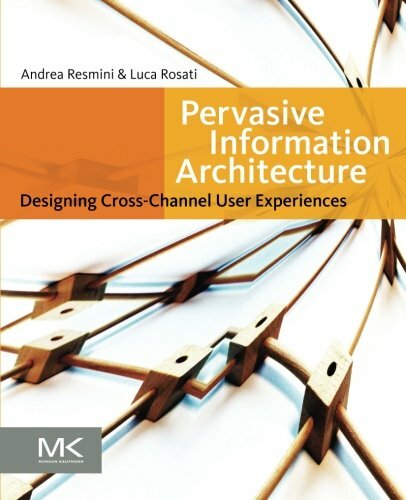 Pervasive Information Architecture explains the ‘why’ and ‘how’ of pervasive information architecture (IA) through detailed examples and real-world stories. It offers insights about trade-offs that can be made and techniques for even the most unique design challenges. The book will help readers master agile information structures while meeting their unique needs on such devices as smart phones, GPS systems, and tablets. The book provides examples showing how to: model and shape information to adapt itself to users’ needs, goals, and seeking strategies; reduce disorientation and increase legibility and way-finding in digital and physical spaces; and alleviate the frustration associated with choosing from an ever-growing set of information, services, and goods. It also describes relevant connections between pieces of information, services and goods to help users achieve their goals. This book will be of value to practitioners, researchers, academics, andstudents in user experience design, usability, information architecture, interaction design, HCI, web interaction/interface designer, mobile application design/development, and information design. Architects and industrial designers moving into the digital realm will also find this book helpful. An ICT professional since 1989 and a practising information architect since 1999, Andrea holds a PhD in Legal Informatics and a MA in Architecture and Industrial Design, and he is currently President of the Information Architecture Institute. He pretends to play the piano, reads far too many books, chairs the Italian IA Summit, and co-founded the Journal of Information Architecture.